Hemp oil comes in so many different variations that it’s almost impossible to think of one product as being the best hemp oil. Or is it? Different formulations of hemp oil are made to tackle different issues. So how do you know which is which? It’s simpler than you think. Once you know the types of hemp oil on the market, you’ll never have to worry about picking up the wrong product ever again. And, to make things even easier, along with our buyer’s guide you’ll also be able to see five reviews of the top hemp oils on the market. Taken as a whole, they’ll highlight near everything you’d want to know. Buying the right hemp oil for your dietary needs or your medical condition will soon be a breeze. 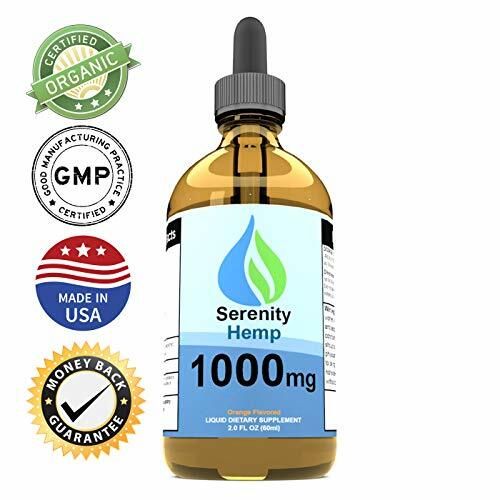 The Serenity Hemp Oil is rich in vitamins and fatty acids. It also comes in three different flavors. With each bottle having its own dropper too, it’s easy to get an accurate dosage each time. Each bottle carries enough of the product to last you 60 days. The daily recommended serving is up to 30 drops which contains about 16.6 mg of hemp extract. Since it contains almost no CBD, this hemp oil doesn’t have amazing medical benefits. Instead, it acts more as a dietary supplement which can still improve your cardiovascular health. As far as giving you a calming effect or anti-inflammatory properties, the Serenity Hemp Oil is an okay product. The nutrient value in Serenity’s hemp oil is very high. Part of it is the hemp oil extract and part of it comes from the other extracts such as grape seed, stevia, peppermint, lemon, and orange. The last three are also the components that determine the taste, so choose any one of them based on your preference. 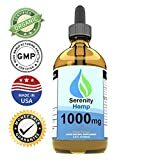 Serenity’s Hemp Oil is a bit expensive even though it comes in a 2 oz. bottle which covers you for 60 days. If you’re on a budget, you may be better off with a less tasty alternative that still has all the vitamins and minerals you need on a daily basis. 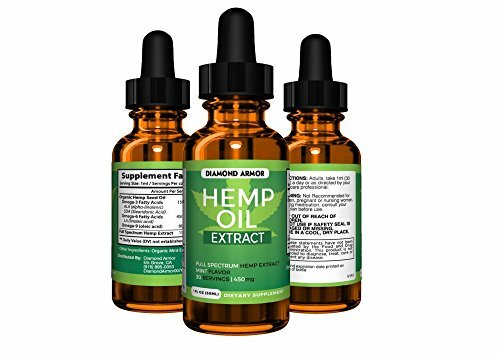 Diamond Armor offers a full spectrum hemp oil at an affordable cost. With no THC levels present in the formula, this is a completely legal dietary supplement. This oil’s formula is rich in omega 3 and 6 fatty acids as well as omega 9 oleic acid. Because of this combination, the oil has good results when taken for anxiety, stress, and even sleep deprivation. The oil is designed for oral intake, which means you’ll have to take the daily dose and keep it under your tongue for a minute before swallowing. This will improve the absorption process. The bottles are slightly darkened for UV protection and a longer shelf life. Since it’s also mint flavored, the chances of it getting a bad taste after a while are almost nonexistent. Most hemp oils still have at least some trace amounts of THC. Even though it’s not enough to have any psychoactive effects, it’s nice to see that Diamond Armor’s oil is entirely THC-free. Not only does this make it legal but it also eliminates the risk of failing a drug test. This hemp oil is not very concentrated. Therefore, its anti-inflammatory properties are not too impressive. While it may help first-time users for a while, it’s easy to develop a tolerance to this level of potency so it can’t be used as an anti-inflammatory substitute for too long. This is one of the most popular pure hemp oils on the market and for good reason. Not only is it affordable but it’s also unrefined. If you don’t know by now, unrefined hemp oil has the highest concentration of nutrients, antioxidants, fatty acids, vitamins, and minerals. This is achieved by cold-pressed hemp seed extraction. The oil comes in two different strengths levels which both offer great value for the money. The aroma is nutty but not amazing, so you may need to mix it in with food or drinks. There is a downside regarding its extraction method; the oil doesn’t have a long shelf life. Even though the bottle has a UV protective coating you may want to reconsider buying it if you’re not going to use it on a daily basis. The Nutiva Hemp Oil is one of the richest dietary supplements on the market which appeals to everyone regardless of their eating habits. Because it contains no CBD, as it is made entirely from hemp seeds, the oil offers very little medicinal value. 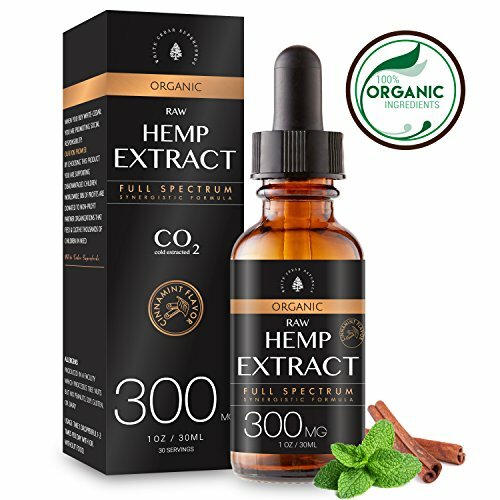 This is a premium full-spectrum hemp oil obtained through CO2 and cold press extraction. It features an interesting flavor choice too which makes it viable for use in various foods. Pepperwood Organics sell their hemp extract with a cinnamon flavor. 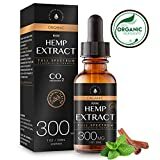 This makes it one of the few hemp oils on the market which can easily be used to create desserts and spicy dishes, instead of just sauces and dressings. You can also find this oil in four different sizes: 100 mg, 300 mg, 600 mg, and 1200 mg. Ranging from cheap to expensive, these products are suitable for a wide range of consumers and medical issues. 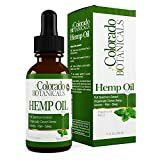 The oil is made from the entire hemp plant, so you get all the nutrients such as fatty acids, vitamins, and minerals in this higher-value medicinal product. Due to the CO2 extraction method used in developing this hemp oil, there’s a decent concentration of CBD. Because of this, the Pepperwood Organics Hemp Extract has very good anti-inflammatory properties as well as a positive effect on the immune system. The taste is not as bad as plain hemp extract but it is strong. Cinnamon, rosemary, and peppermint are used to flavor the oil which looks good on paper but may not be to everyone’s taste. This hemp oil contains both peppermint and coconut oil extract which give it a rather thick texture. It’s advised to shake the bottle really well before using. While the taste may not be amazing, it’s still good enough that you can take this oil orally. The extraction process used is CO2 extraction. However, given the rather low concentration of CBD, this oil doesn’t treat serious conditions such as chronic pain or menstrual pain. It still has good anti-inflammatory properties and provides a decent boost to the immune system. One area in which this oil seems to excel is calming down people and improving the cardiovascular system to promote better sleeping patterns. In order to sleep better after taking it, you have to either split your dose in half and take it twice a day or take the whole dose late in the evening. The reason this is necessary is because the effects don’t seem to last too long no matter what the method of delivery. For the most part, hemp oil offers the same nutritional benefits to both men and women. The absorption rate is high in both genders, but the differences start to show when CBD is introduced into the equation. It has been noted that female users get more pain relief from hemp oil or CBD hemp oil due to high levels of progesterone in their system. However, it’s not guaranteed that this effect will persist for all women while they’re menstruating because progesterone would no longer be the dominant hormone, but rather estrogen. Depending on the strength of the oil, manufacturers may often put out disclaimers and recommendations to lower the dose for women in labor because of how different the hormones react during pregnancy. Hemp oil products don’t have a specific list of ingredients or production method. Depending on what they’re designed to do, hemp oils may be used with other herb extracts such as peppermint, rosemary, stevia, and more. It may also contain orange extract or coconut extract in order to alter the taste. There’s an endless stream of combinations of different ingredients that accompany hemp oil products. What’s important to know is that the THC values are always lower than 0.3%. The CBD values fluctuate depending on the extraction method and manufacturer. Hemp oil is made for a wide range of applications. How you use it generally depends on the brand and type, CBD content, and extraction method. Some hemp oils are made solely as dietary supplements, while others are made as therapeutic oils. Although very rarely, hemp oil may also be used as bio-fuel or in the manufacturing of different plastics. Last but not least, the ones that contain CBD are often used as an analgesic and as a means to minimize the side effects of chemotherapy. Regular hemp seed oil has two subtypes. You can find it in refined or unrefined form, with both variants having their own benefits and drawbacks. Unrefined hemp oil is often used as a dietary supplement. It has a powerful taste and a brownish-green color which resembles a thick extra virgin olive oil. One of the downsides of keeping it in unrefined form is that the oil has a short shelf life and the taste as well as the smell gets nastier as it reaches the expiration date. The upside of using hemp oil in its unrefined form is the extra number of nutrients. This is because the low-heat manufacturing process doesn’t destroy too much of the beneficial compounds in the oil. Refined hemp seed oil has little to no flavor and a very light color. The downside is that it lacks most of the vitamins and antioxidants found in the unrefined form. However, refined hemp seed oil still has plenty of use as a lubricant, moisturizer, conditioner, soap ingredient, and even fuel. It also has a longer shelf life. The amount of fatty acids is comparable to that found in unrefined oil. CBD hemp oil contains a higher concentration of CBD or cannabidiol. This is a compound similar to THC but doesn’t share the same psychoactive effects. What it does share are the anti-inflammatory and analgesic effects. This type of oil is not often extracted from hemp seeds. It’s also achieved through different extraction methods such as ethanol and olive oil or CO2 extraction rather than being separated in a cold press machine. This allows the oil to have a higher CBD concentration. CBD oil is also heavily regulated which is why most of it is made outside the US. However, it’s still examined for quality and purity after being imported. CBD hemp oil may be used as a dietary supplement, topical application product, or as vaping oil, depending on its additives and consistency. Hemp essential oil is made from hemp leaves and flowers in a steam distillation process in order to capture most of the plant’s essence. 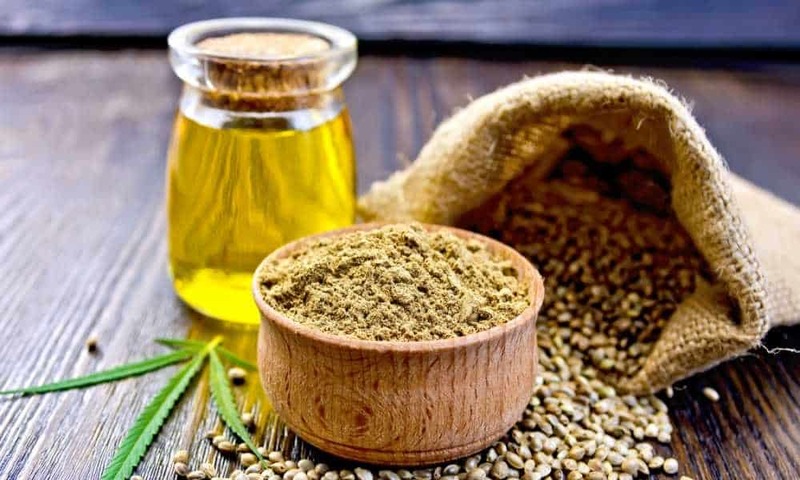 It has a higher therapeutic effect than refined and unrefined hemp seed oil, but it also has a high price point due to how much raw product it takes to make just one ounce – over 50 pounds of leaves and flowers. This essential oil also doesn’t have any THC or CBD in its composition due to the different extraction method used. Its health benefits are minimal but it’s still potent enough that you can find hemp essential oil in massage oils made for enhanced relaxation and pain relief around the joints. CBD hemp oil comes in a wide range of potency. Most products will usually have up to 25 mg CBD in a bottle that you can use for up to 30 days depending on your needs. However, there are manufacturers that offer significantly higher concentrations of CBD. Since CBD is not as dangerous as THC, there’s no real limit to how strong CBD hemp oil can be made for general use. Still, high potency levels are generally recommended for serious illnesses. Patients with Huntington’s may use up to 10 mg of CBD per kg of body weight for up to six weeks. Schizophrenia patients are recommended to use anywhere between 40 and 1280 mg of CBD orally on a daily basis. 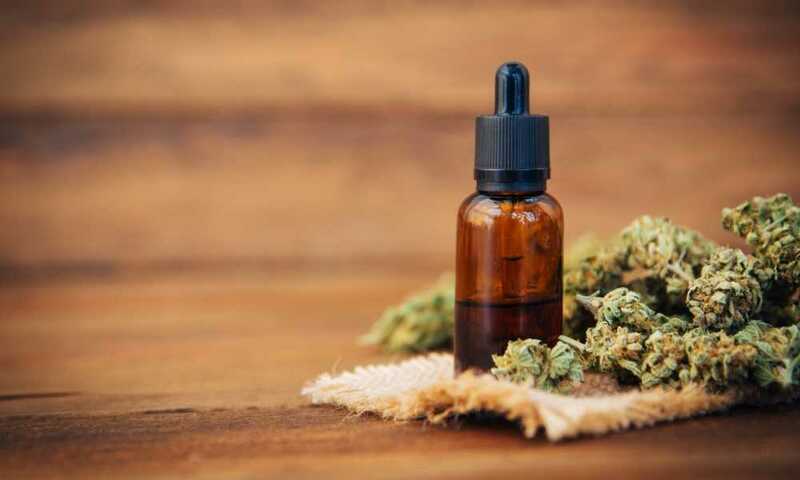 When buying CBD hemp oil, the concentration of CBD is an important piece of information to look for, even though there’s no known risks or cases of overdosing on CBD. Most hemp oil is produced via cold-pressed extraction. This is a mechanical process which generally makes use of spike-filled containers which slowly puncture plant parts and seeds. Cold press machines today also make use of centrifugal force in order to better separate the oil from the remains of the plant. Puncturing and spinning the plant releases essential oils. These are then collected and either used in pure form or blended with other products. 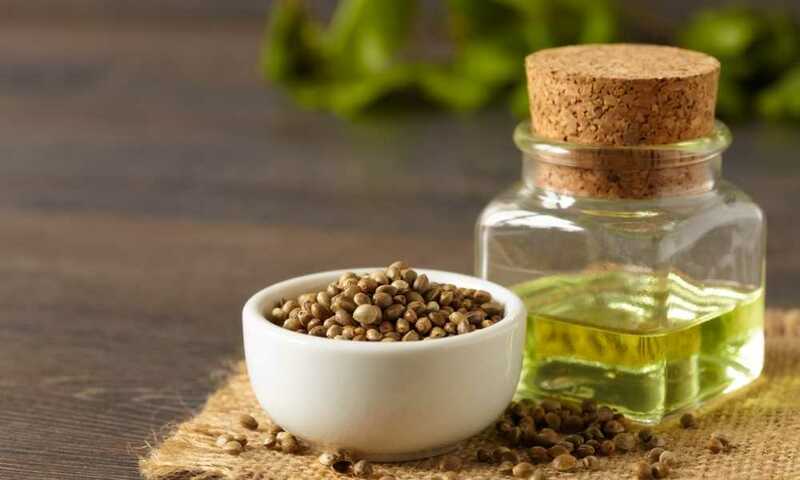 One of the main reasons why hemp oil is made from hemp seeds and not the leaves is because hemp seeds only have trace amounts of THC; therefore the final product won’t have any psychoactive elements. Cold-pressed hemp oil typically has very little CBD in it too, which is why it is sometimes added to a CBD rich oil after the extraction process. More CBD can be by using ethanol and olive oil or CO2 extraction. The latter is non-toxic and very efficient at obtaining CBD rich oil which is also more fluid than any cold-pressed product. Can you vape hemp oil? Hemp oil can be vaped but it’s important to understand that different types of this oil will yield different results. Hemp CBD oil is the most recommended variation for those interested in vaping. Although it has a higher concentration of CBD, it still won’t give you effects similar to THC. As for actually vaping it, there are a couple of methods. Some companies sell CBD vape pens. However, those don’t always use a liquid derived from hemp which means you may get a high eventually, if you use it a lot. Be careful about the concentration of CBD and THC before getting a pre-manufactured hemp vape oil. Another thing to keep in mind is that your vaping setup may need some adjustments. Although you can use any e-cigarettes, the tank has to be specially designed for hemp oil in order to get the most out of the vaporization process. 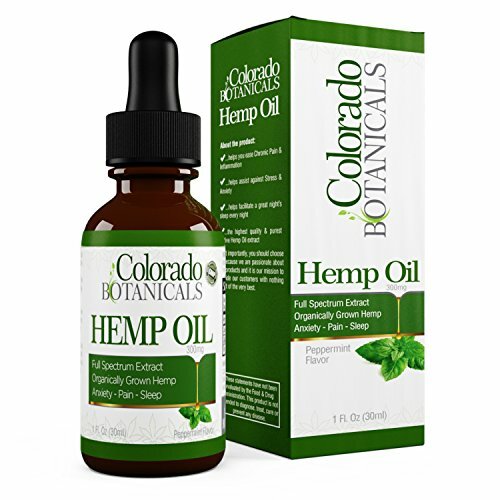 Hemp oil is a popular dietary supplement or topical pain reliever and moisturizer for men, women, and dogs as well. Man’s best friend benefits just as much as humans from topical use of hemp oil as it helps keep the skin healthy and the fur stronger. For humans, hemp oil has far more medicinal benefits, as it helps with a wide range of conditions from improving chronic pain to brain functions. The delivery method of hemp oil usually depends on its formula, type, concentration, as well as its extraction method. Unrefined oil is a great choice as a dietary supplement, which means you can ingest or mix it in your food if you want to mask the taste. Refined oil is recommended for external use. You can apply it directly on your skin to alleviate pain, moisturize the skin, etc. Sometimes this is sold as a standalone product, but other times it’s mixed with lotions, creams, and conditioners. The standalone product may be taken orally but it doesn’t have the same medicinal properties as unrefined oil. CBD-rich hemp oil should also have plenty of health benefits, but depending on the formula and additives you may be better off vaping instead of drinking it. Last but not least, hemp essential oil is mainly used for topical applications during massage therapy sessions. This usually contains additives and other plant extracts that may not make it suitable for oral intake. Hemp oil offers a mercury-free alternative to omega-3 fatty acid supplements. This helps with various functions such as brain development, mood regulation, and the immune system. Because of its similarities with smoked cannabis, hemp oil also has an anti-inflammatory effect which is why it’s used as a topical solution. It’s also an antioxidant and a great moisturizer because of its rapid absorption rate. Another component of hemp oil is omega-6. This is found in a larger concentration than omega-3 fatty acids. Hemp oil consumption may promote better cardiovascular function. It should also help balance the hormones, which is a lot easier to notice in women. The amount of vaped CBD will vary from one person to another. This depends on how the oil’s CBD content and the user’s purpose for using CBD. A general consensus is that taking under 10 milligrams of CBD per day is enough to offer a calming effect with no risk of making the user high. Hemp oil can’t get you high whether you vape it or drink it. Hemp oil doesn’t contain high levels of THC because it’s not extracted from marijuana. Hemp is a regulated plant that contains up to 0.3% THC which means that the psychoactive effect is non-existent. There’s no such thing as the best hemp oil unless you have very specific issues that need addressing. If you’re looking for a great dietary supplement, the Nutiva Hemp Oil may be the best option since it’s unrefined and has a very high concentration of nutrients. If you’re looking for something with more medicinal benefits, maybe the Pepperwood Organics Hemp Extract is better suited to take your pain away and improve your circulation. It also happens to come in 5 different sizes.